nous connaissons, mais avec des exigences différentes vis-à-vis des fluctuations de l’environnement. 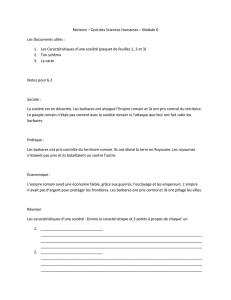 élaborer, de même qu’au cours de l’évolution. elles ne seront pas considérées comme des perturbations. milieu (Leigh & Rowell 1995, Rasmussen 1999, Stefano et al. 2002, Blouin et al. 2005, Soler et al. Fogarty et al. 2011), ou bien encore clonal (Trewavas 2005). 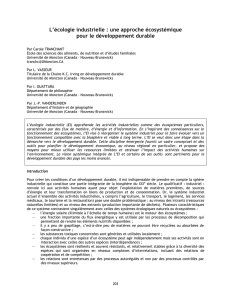 définition, en cas d’apprentissage (Fogarty et al. 2011). (Trewavas 2005, Capellán & Nicieza 2010, González-Gómez et al. 2011). 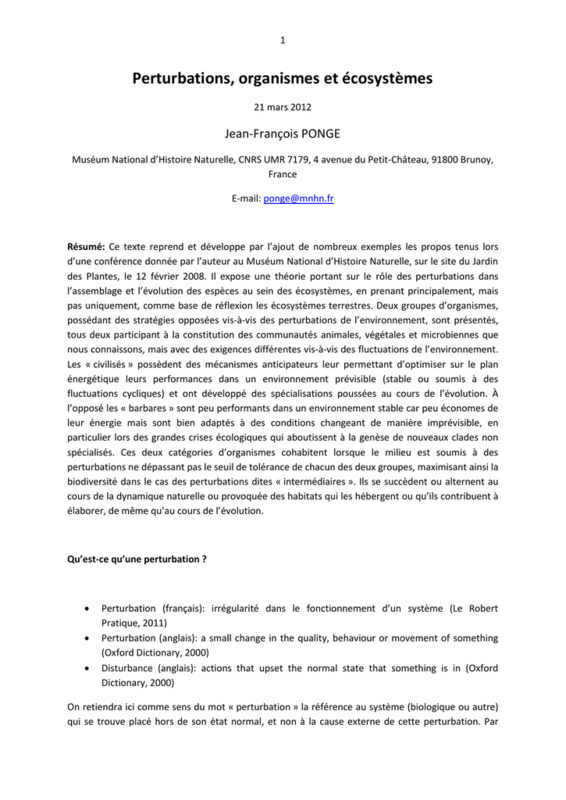 assurant la pérennité des habitats (Williams & Lenton 2007). l’absence de perturbation (au sens ci-dessus donné à ce mot). ainsi que les jeunes des espèces appartenant à la catégorie précédente seront dans ce cas privilégiés. et al. 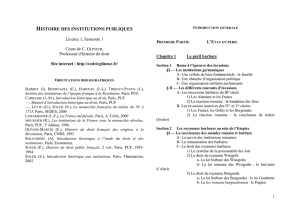 1997, Sarthou et al. 2009, Evette et al. 2009). Peut-on prédire l’existence de deux types de stratégies en fonction du régime de perturbation ? 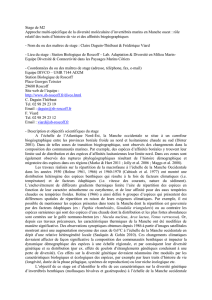 Roughgarden 2005) ou bien entre espèces « migrantes » et « résidentes » (Austin 1970, Holt et al. vie, à l’amplitude écologique et à l’évolution. 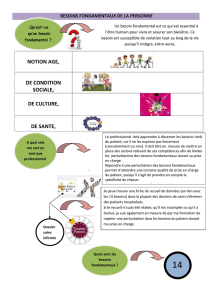 communautés virtuelles (Arditi et al. 2005). 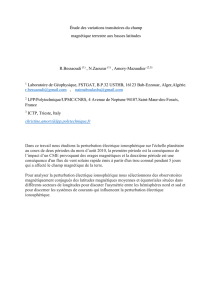 pour la croissance, la reproduction et la dispersion (Wilson & Yoshimura 1994). 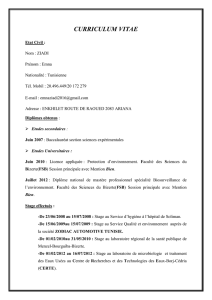 des stades intermédiaires des successions végétales (Isermann 2011). ecological and evolutionary consequences. Paleontological Journal 44:1200-1208.
methylation: how to deal with unpredictable conditions until the next generation and after. Arditi, R., Michalski, J. & Hirzel, A.H. (2005). Rheagogies: modeling non-trophic effects in food webs. population dynamics and biodiversity patterns. American Naturalist 165:449-465.
spruce forest. Soil Biology and Biochemistry 26:183-220. 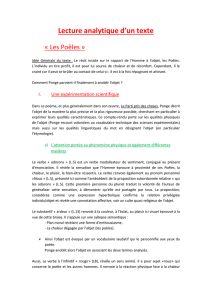 Blouin, M., Zuilly-Fodil, Y., Pham-Thi, A.T., Laffray, D., Reversat, G., Pando, A., Tondoh, J. & Lavelle, P.
tolerance to parasites. Ecology Letters 8:202-208.
on nematode species composition. Oecologia 83:14-19.
eukaryotes: new data from northern Australia. Geology 26:555-558. Cain, M.L. (1985). Random search by herbivorous insects: a simulation model. Ecology 66:876-888.
post-switch predators elicit early hatching. Evolutionary Ecology 24:49-57. Clements, F.E. (1936). Nature and structure of the climax. Journal of Ecology 24:252-284. Connell, J.H. (1978). Diversity in tropical rain forests and coral reefs. Science 199:1302-1310.
reefs. Marine Ecology Progress Series 413:201-216.
on pelagic conodont chordates and benthic ostracods. Geobios 32:205-221.
generalists: the role of trade-off structure. American Naturalist 163:518-531.
types in a species-rich ecosystem. Ecological Modelling 213:402-416.
disturbed soil using the Maturity Index. Biology and Fertility of Soils 16:79-85.
herbaceous plant communities in an Alpine massif. Folia Geobotanica 44:95-108. Fierer, N., Bradford, M.A. & Jackson, R.B. (2007). Toward an ecological classification of soil bacteria. Fogarty, L., Strimling, P. & Laland, K.N. (2011). The evolution of teaching. Evolution 65:2760-2770. González-Gómez, P.L., Bozinovic, F. & Vásquez, R.A. (2011). Elements of episodic-like memory in freeliving hummingbirds, energetic consequences. Animal Behaviour 81:1257-1262. Gould, S.J. & Eldredge, N. (1993). Punctuated equilibrium comes of age. Nature 366:223-227.
to ecological and evolutionary theory. American Naturalist 111:1169-1194.
birds to modification of habitat structure by deer. Biological Conservation 144:2151-2162. Jackson, J.B.C. & Johnson, K.G. (2000). Life in the last few million years. Paleobiology 26S:221-235. Jensen, L.F., Hansen, M.M., Pertoldi, C., Holdensgaard, G., Mensberg, K.L.D. & Loeschcke, V. (2008). adaptability. Proceedings of the Royal Society, Series B, Biological Sciences 275:2859-2868.
nitrogen acquisition in plants. Journal of Experimental Botany 62:1455-1466.
various levels of biological organization. Écologie 26:131-158. Lessard, J.P., Borregaard, M.K., Fordyce, J.A., Rahbek, C., Weiser, M.D., Dunn, R.R. & Sanders, N.J.
adaptive function. American Naturalist 96:361-373.
of temporal organization. Annual Review of Genomics and Human Genetics 5:407-441.
paradigm of marine Phanerozoic diversity. Marine Ecology Progress Series 191:267-288.
intermediate disturbance hypothesis. Science 294:1702-1704.
speciation’ in birds. Ecology Letters 6:228-234.
towards a functional chronobiology. Cancer Causes and Control 17:591-599. Myers, N. (1996). The biodiversity crisis and the future of evolution. Environmentalist 16:37-47.
sensory systems. Journal of Experimental Biology 211:1792-1804. Odum, E.P. (1969). The strategy of ecosystem development. Science 164:262-270. Pianka, E.R. (1970). On r- and K-selection. American Naturalist 104:592-597.
regeneration puzzle: biological mechanisms in humus layer and forest vegetation dynamics. behavioural and ecological influences. Journal of Biosciences 24:241-251.
evolution on population persistence in a changing climate. 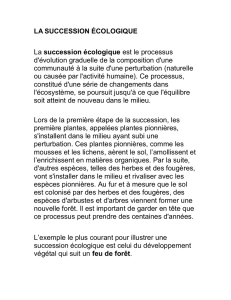 Conservation Biology 25:56-63.
relation to environmental conditions. Oecologia 166:913-921.
tropical inselbergs: a case study on the Nouragues inselberg. Flora 204:396-407.
a new co-ordination in a bimanual load-lifting task in children. Neuroscience Letters 330:215218.
diversification of parrots: effects of climate change, geological events and key innovations. Sheldon, P.R. (1996). 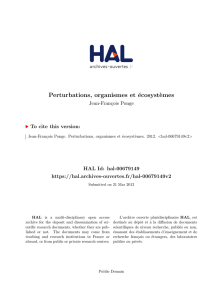 Plus ça change: a model for stasis and evolution in different environments. variation of floral scent in a highly specialized pollination mutualism. Phytochemistry 72: 7481. Stearns, S.C. (1976). Life-history tactics: a review of the ideas. 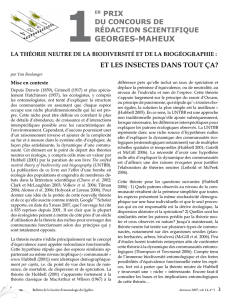 Quarterly Review of Biology 51:3-47. Trewavas, A. (2005). Plant intelligence. Naturwissenschaften 92:401-413. Vitalini, M.W., de Paula, R.M., Godsmith, C.S., Jones, C.A., Borkovich, K.A. & Bell-Pedersen, D. (2007). Circadian rhythmicity mediated by temporal regulation of the activity of p38 MAPK. Proceedings of the National Academy of Sciences of the United States of America 104:1822318228.
pathways in rice leaves. Proteomics 11:225-238.
and genetic diversity in forest tree communities? Plant Ecology 185:151-161. Williams, H.T.P. & Lenton, T.M. (2007). Artificial selection of simulated microbial ecosystems. Proceedings of the National Academy of Sciences of the United States of America 104:89188923.
of criticisms, and relations to other theories. Oikos 91:77-96. 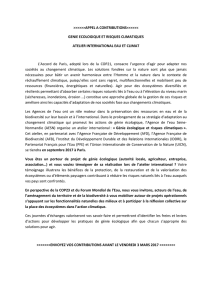 Appel à contributions Atelier "Génie écologique et risques climatiques"